Dr. Mahesh Sharma, Minister of State for Culture and Tourism (Independent Charge), paid an official visit to Australia from September 18 to September 20. 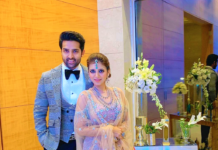 On September 18, he attended a gala event in connection with Confluence-the Festival of India at the iconic Sydney Opera House. 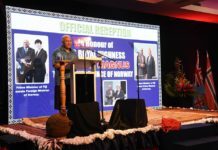 Dr Sharma had a series of bilateral engagements in Canberra on September 19. He met Minster of Communications and Arts Senator Mitch Fifield and discussed various bilateral matters pertaining to cooperation in the areas of art, culture and people-to-people contact. 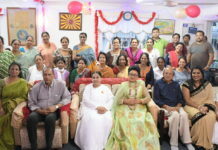 He also thanked the Department of Arts for its strong support to the Festival of India. 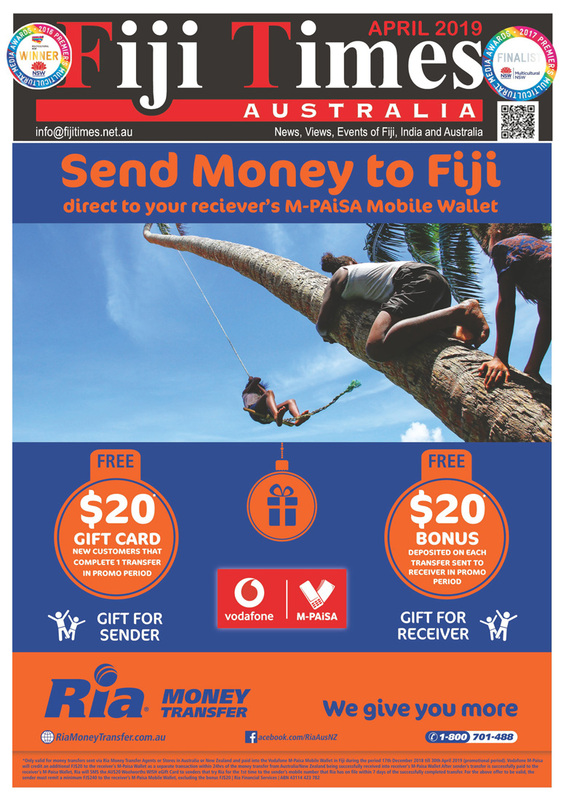 “This has made the Festival a true Indo-Australian festival,” Dr Sharma said. 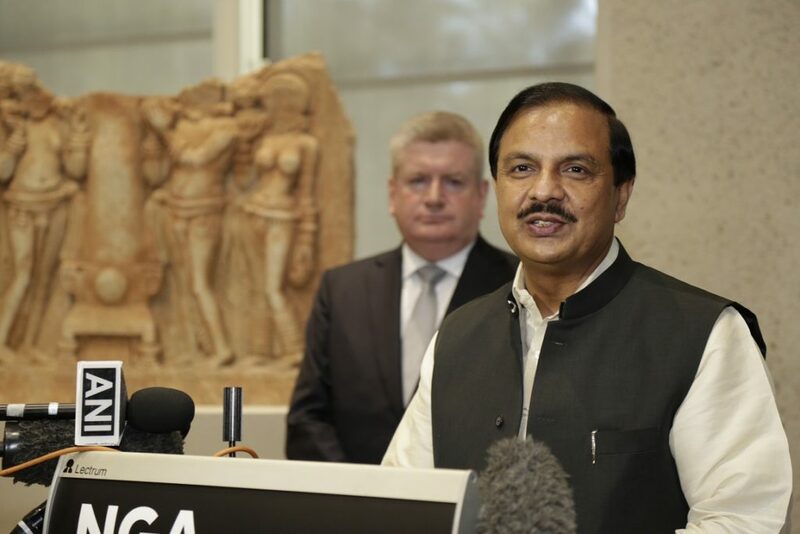 In the afternoon, Dr Mahesh Sharma attended special event at National Gallery of Australia (NGA) in which Senator Fifield formally handed over three ancient artifacts stolen and smuggled out of India and inadvertently acquired by National Gallery of Australia. The returned artifacts are Seated Buddha, Goddess Pratyangira and Worshippers of Buddha. Earlier, during the visit of Australian Prime Minister to India in September 2014 the Australian government had also returned statue of ‘Dancing Siva’. 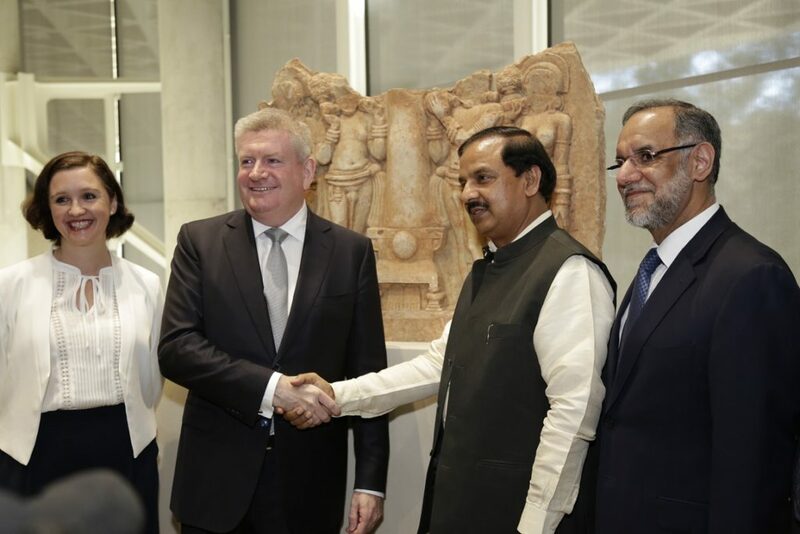 Speaking on the occasion, Minister Mitch Fifield stated, “This is the ethical demonstration of National Gallery of Australia.” He added, “This process in which Indian and Australian governments are working together is a testimony of quality and health of the bilateral relations”. Indian High Commissioner Mr Navdeep Suri and top officials of National Gallery of Australia attended the event. Dr Mahesh Sharma also met Assistant Minister for Trade, Tourism and Investment Mr Keith Pitt MP later in the afternoon and discussed various bilateral issues of mutual interest.